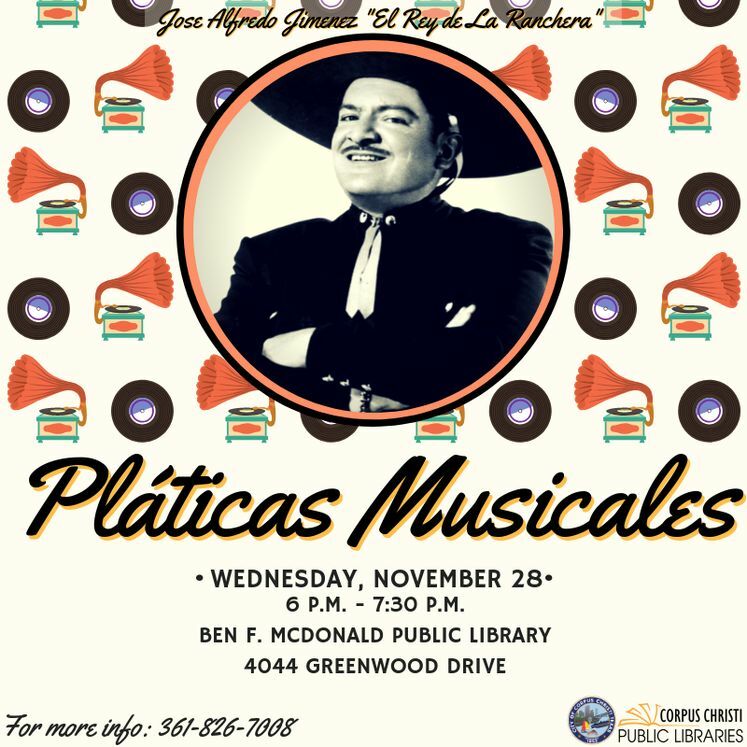 CORPUS CHRISTI, TX - Get ready to celebrate the life and musical legacy by one of Mexico’s most prominent singers/songwriters during this month’s Pláticas Musicales, Wednesday, November 28 from 6:00 p.m. to 7:30 p.m. at the Ben F. McDonald Public Library, 4044 Greenwood Drive. The event will feature the music of Jose Alfredo Jimenez, better known as “El Rey de La Ranchera”. During his career, Jimenez composed more than a thousand songs covered by well-known artists including Pedro Infante, Vìcente Fernández and Selena. The undisputed King of Ranchera music, Jimenez famous sound is classified as the traditional music of Mexico now referred to as “Conjunto.“ Musicians Abelardo Garza and Lourdes Gonzales will perform a selection of Jimenez’s most popular works.